Jamie Dimon has generated his fair share of controversy as boss of JPMorgan. But he marks 10 years running the New York bank on Thursday having fashioned an institution with some of the leading results in the business – and in a strong position to outperform rivals for another decade. Avoiding the worst of the financial crisis was Dimon’s key achievement. By ditching the bank’s structured investment vehicle in 2004 and dialing back its presence in subprime mortgages and CDOs, Dimon sidestepped the messes that required bailouts for competitors Citigroup and Bank of America. Consequently, JPMorgan was able to invest in new branches and technology – including, of late, the rollout of new payments systems. It also has taken stakes in emerging platforms like OnDeck in lending, and Square in payments. The crisis, in fact, elevated Dimon as an unofficial spokesman to complain about its aftermath – he dubbed the 2008 bank bailout the “Tarp baby” and hounded then-Fed Chairman Ben Bernanke and his Canadian counterpart Mark Carney, now governor of the Bank of England, about the effects of new regulations. Virtually nobody else had the authority to do so. That changed when a $6 billion trading loss in 2012 – the so-called London Whale – called into question the bank’s risk-management skills. Within two years, JPMorgan submitted to a $13 billion settlement with U.S state and federal agencies over bad pre-crisis mortgages – many sold by Bear Stearns and Washington Mutual, which Dimon snagged in 2008. Shareholders stuck by him, twice voting against stripping him of the chairman’s title. It helped that JPMorgan’s underlying business remained solid, unlike Citi and BofA: years after the crisis, neither is yet covering its cost of capital. JPMorgan, legal costs aside, has routinely bested that since the crisis. Of its larger rivals, only Wells Fargo does better. 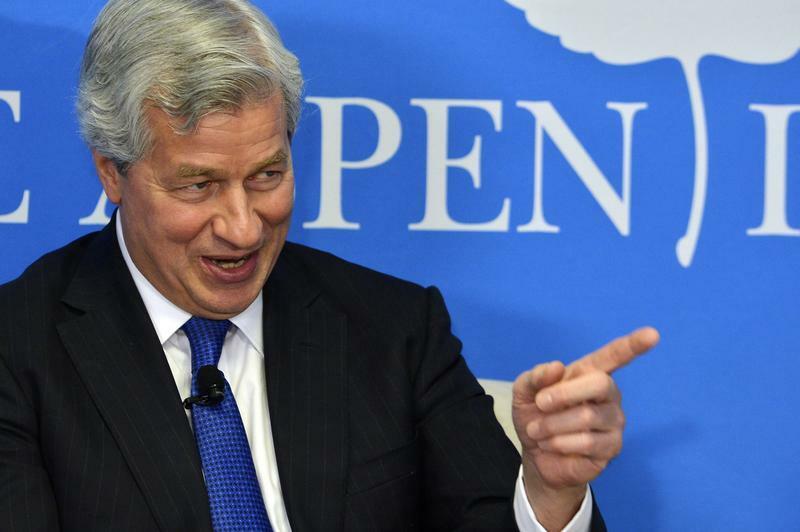 The San Francisco-based lender, now the largest by market value, has also given shareholders a slightly better total return over Dimon’s tenure – 130 percent to JPMorgan’s 117 percent. JPMorgan and Dimon, who also personally battled cancer a year ago, still face challenges. An 11 percent return on equity is hardly stellar. Slow economic growth often comes with low margins. And regulation shows no signs of loosening. Yet as bank bosses go, 10 years on Dimon is hard to beat. Jamie Dimon marks his 10th year as chief executive of JPMorgan on Dec. 31.